For riders who don't settle for anything but the absolute best and lightest, SuperSprox produces their beautiful, lightweight and durable Aluminum Rear Sprocket line. 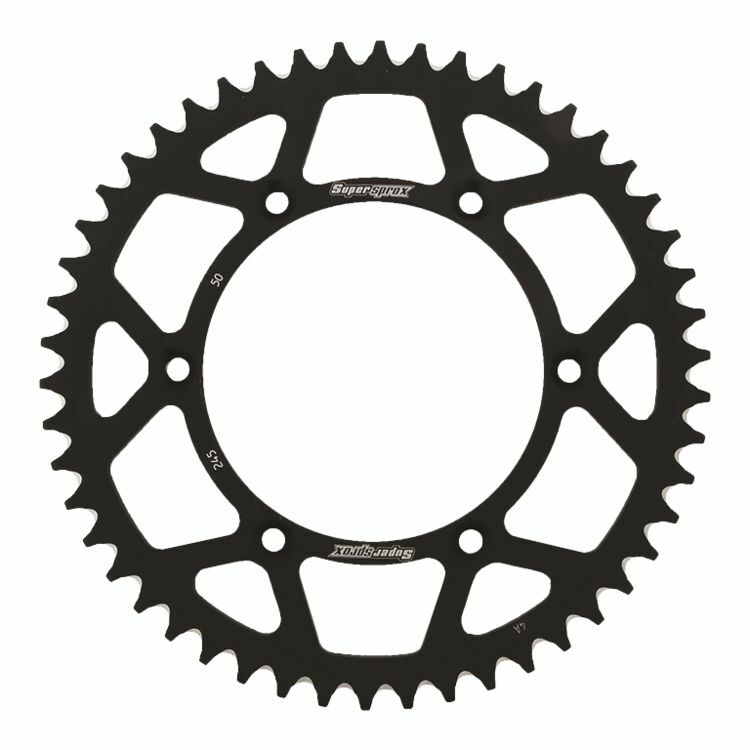 SuperSprox Aluminum Sprockets are machined from extra thick aluminum and feature debris evacuating grooves between each tooth, resulting in improved life of both your chain and sprockets. Each sprocket is surface ground prior to finishing, meaning each and everyone is up to SuperSprox's strict standards. The very same standards that have propelled SuperSprox factory riders to more than their fare share of world titles.